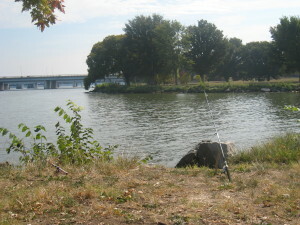 Ok, you found that sweet spot out there in middle of the lake and you want to put your hook there every time you cast. It is extremely hard to judge distances let alone hit those distances time and again. The solution it to use your line clip. Using a line clip can help you hit the same distance each time you cast. Your line clip is that tag on your reel that keeps your line from unraveling off your reel spool when your rod is broken down. Once you have cast your line to a spot you like, you put your line in the line clip and reel in the line. The next time you cast, you cast a touch further than you think you need and when the hook hits the line clip it will stop going out and drop at approximately the same distance. You have to be careful. When you are casting a lot of lead and bait on a cheap reel with a plastic line clip you can break off the line clip if you put too much force behind your cast. 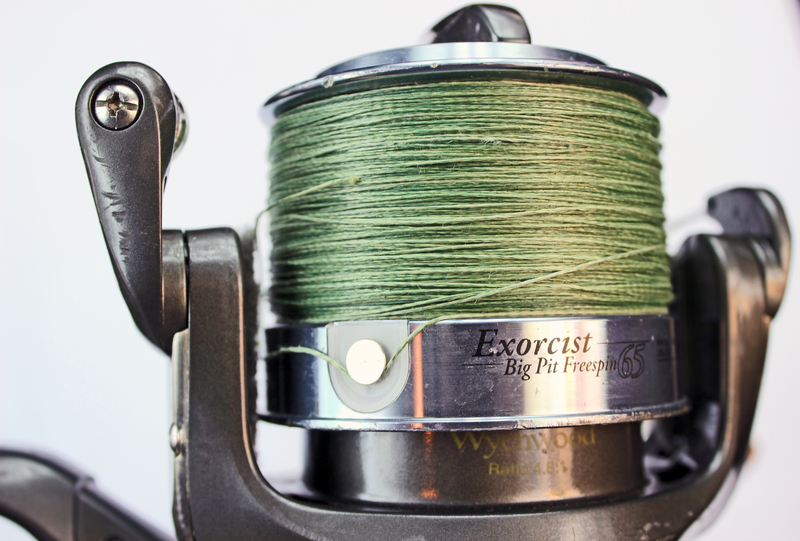 Quality big pit reels often have specially designed line clips that are very durable and more gentle on your line. However, just because you use a line clip you will not necessarily hit the exact same distance every time. A strong wind and your casting trajectory affect the distance regardless of the line clip. Casting at the same trajectory every time and adjusting your line clip when there is major chances in the wind will help keep your casting distance accurate. Setting the Distance on Your Line Clip. Distance sticks can be used to measure the distance you are casting. If you find a spot with one rod and then you want to cast another rod to that same spot there are several ways to accomplish this. The simplest way is to use the line clip of the first rod to set the distance and then reel it in. The lay the first rod and the second rod out and lay them down on the grass side by side. Open both rod’s bails and walk the leads out (one in each hand). Once the first rod hits the line clip stop walking and then clip up the second rod as well, reel in and then cast. The second way to clip up a second rod is to use measuring sticks. You take two stakes and drive them into the ground exactly 10 feet apart. Then you wrap your line around the sticks in a giant figure eight formation and count how many wraps it takes to get to your line clip then calculate the distance (20 feet for each complete wrap). Then wrap the second rod around the distance sticks the same number of times to get to the same distance. The advantage of using measuring sticks is that it takes less room and it allows you to measure the distance you want easily so that when you come back to a spot you can simply measure out the same distance even if you took your line out of the line clip and lost your place on the reel. If you want to cast the same place every time you need to cast from the same location every time. Pick a spot to cast from and stick to it. Additionally, use an object on the horizon as your target. Often I use tall trees on the opposite shore as my targets for casting. I like to pick something that sticks up on the horizon as well so that I can see it after sunset as well.